Do you have any games on your phone that have a Black female lead character? 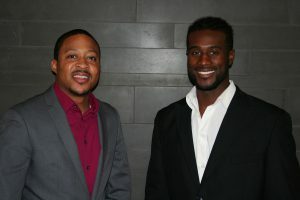 If not, here’s your chance to change that—and have some fun in the process—thanks to a new mobile app created by software developers Tremayne Toorie and Adrian McDaniel. 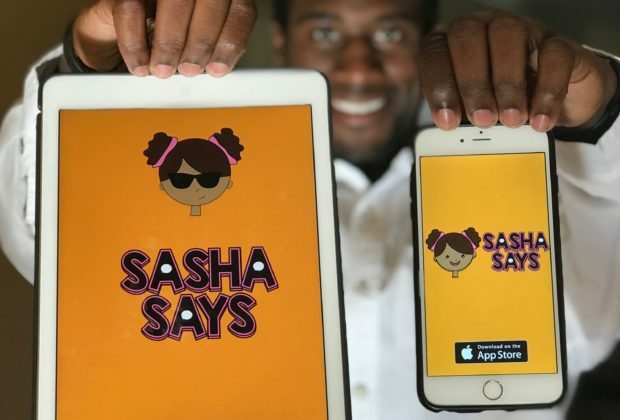 Their game is called “Sasha Says,” and it’s a cross between “Bop It!” and “Simon Says.” The app has already garnered over 1,000 downloads. Toorie, a Long Island, New York native and graduate student, said he came up with the idea for “Sasha Says” last year. “I wanted to create a simple game that a wide range of people could pick up and play. A game that would bring back a sense of nostalgia for older generations, while bringing a unique, new experience for the younger generations,” he said. Toorie asked himself, “What do people do on their phones?” That’s how he determined that the game would have tapping, swiping and shaking components. How this idea came to life was a matter of fate. Both McDaniel, a St. Louis native, and Toorie came to Georgia to attend college. 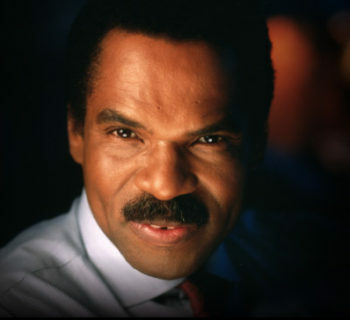 After some time at Morehouse College, McDaniel pursued a career in sales. However, he wasn’t completely satisfied. “I had reached my goal of being on the executive level, but a piece of me was missing. The tech side of me was calling, so I completely switched gears and attended the Iron Yard Atlanta to learn mobile software development,” McDaniel said. Toorie planned on playing professional baseball but ended up going back to school for his master’s degree in kinesiology. With a lifelong love for technology, he learned how to code on the side during his first year of grad school. He was in the process of developing a social media platform called Splash that would allow users to create multi-picture posts as one post, or a “splash” of photos. A major Instagram update killed that venture, so he decided to use the name and logo and start his company Splash House Studios LLC. Toorie and McDaniel soon connected, and “Sasha Says” was born a short time later. 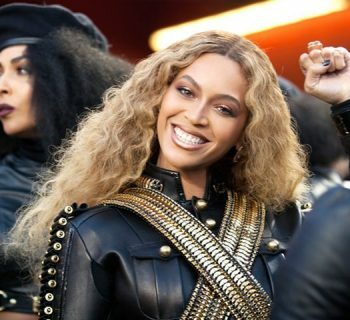 Although this endeavor has worked out well, being Black in the tech industry hasn’t been without challenges. “We don’t look like developers in many people’s eyes because of our skin tones,” McDaniel said. “Yeah, I think that it creates a perception that this industry isn’t ‘for us,’” Toorie added. 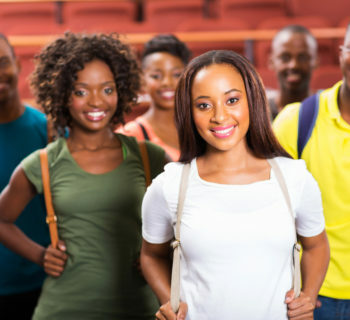 However they didn’t let those challenges stop them and want to inspire people of all ages to pursue STEM careers, and specifically software development. “You don’t have to have the tech background to pursue it either. Programming allows you to create something from nothing and tell a story,” Toorie said. 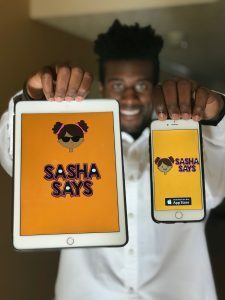 “Sasha Says” is available to download on Apple devices right now, but the duo is in the process of creating an Android version and eventually a multiplayer mode. After they accomplish those goals, they plan on using their creative talents to develop a product that with help stroke victims. 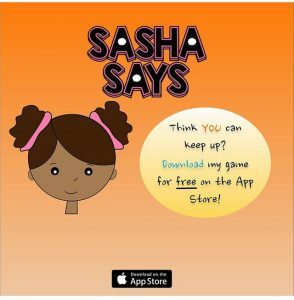 Visit www.sashasays.online to download the app or for more information. Keep up with “Sasha Says” on Instagram and Twitter by following @daRealSashaSays.